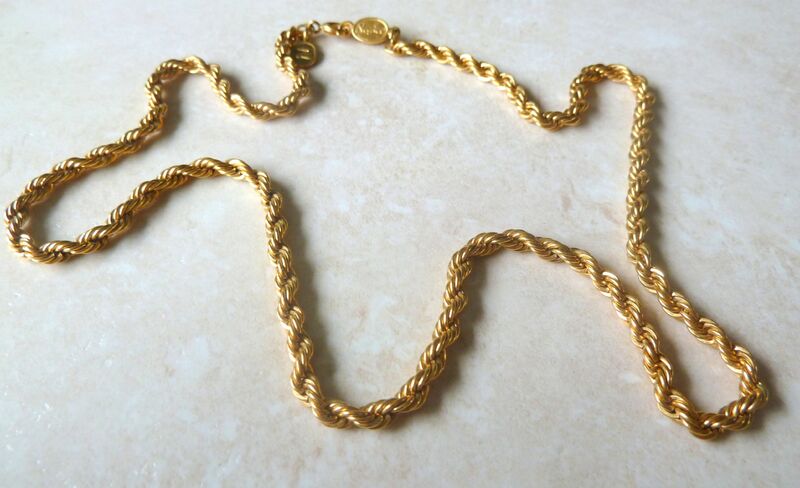 Vintage Gold Tone Rope Necklace By Napier. 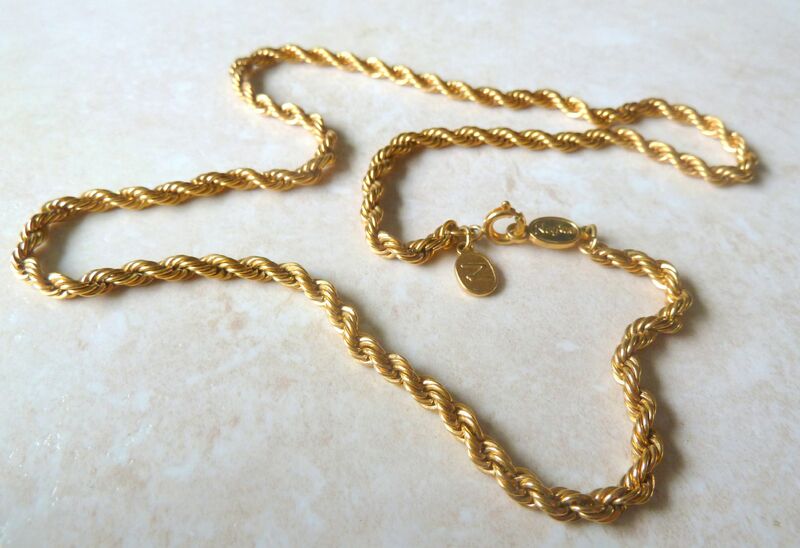 Vintage gold tone rope necklace by designer Napier. A vintage gold tone rope necklace by Napier. This quality necklace is designed in a rope chain style with the Napier tag close to the claw clasp, as well as a Napier hang tag. Circa 1980's. Necklace measures approx 46cm in length. Napier tag and hang tag close to the clasp. Necklace is fashioned in a rope chain design, formed from gold tone metal.